Pearl “Toni” Boyle, age 95, passed away in New Orleans after a brief illness and has crossed the Rainbow Bridge where she is surrounded by a lifetime of pets. Toni was born in Fond du Lac, Wisconsin on January 12, 1924. She is survived by her children-Kevin (Sue) Boyle of Grafton, WI, Maureen (Jim) MacCracken of Wasilla, AK, and Michael (Darnell Bludworth) Boyle of New Orleans, LA, five grandchildren and three great-grandchildren. Her mother Elsie Moerchen and her husband Eugene A. Boyle, both of Fond du Lac, preceded her in death. Toni was a graduate of L.P. Goodrich High School and worked at both the Fond du Lac Clinic and the Clinic of Orthopedic Surgery from where she retired in 1989. While Toni loved all things Wisconsin—especially her beloved Packers and Badgers and the leaves of autumn, in 2007 she embarked on her “last great adventure” and moved to New Orleans’ Irish Channel where she became grandmother to her Great Dane granddogs. While living in New Orleans, Toni fell in love with the Saints, the City’s love of celebration; enjoying Mardi Gras parades and the Irish Channel St. Patrick’s Day Parade while also “holding court” during afternoon wine time in her patio. 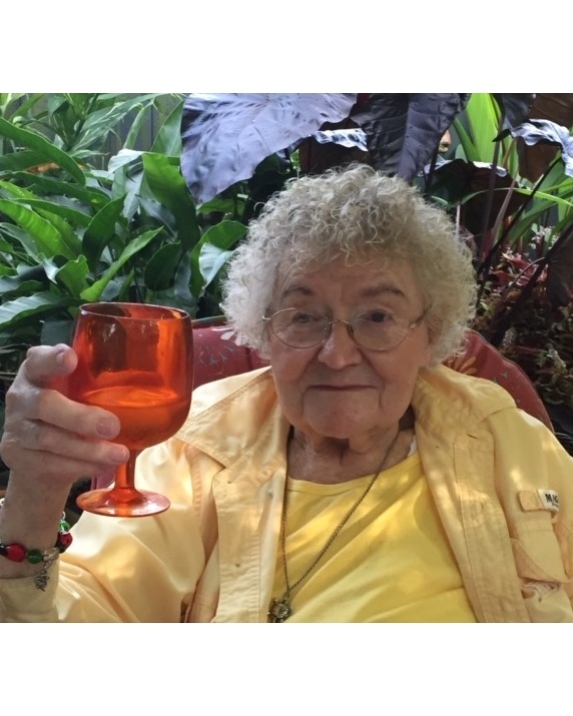 Her time in New Orleans allowed her to meet a whole new group of friends, all of whom became very dear to her and in her words, “kept her young.” Her vacations to the beach of Cape San Blas, FL were a highlight of her life down south and she delighted in seeing the sea turtles, pelicans and dolphins. In accordance with Toni’s wishes arrangements will be private. The family asks that in lieu of flowers, friends donate to Zeus’ Rescues, 2520 Napoleon Ave, New Orleans, LA 70115 (http://zeusrescues.org/donate) or an animal rescue in their hometown in her memory and please give their pets a hug for her.